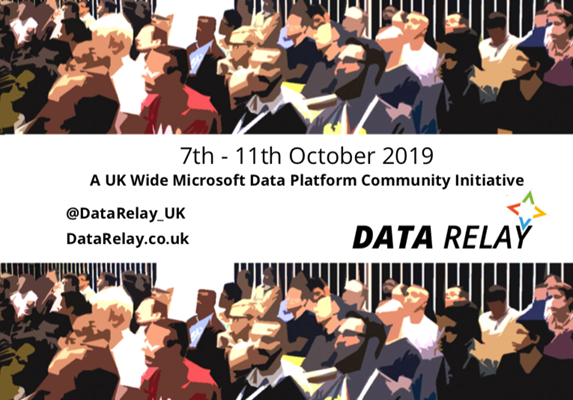 Join us for our 9th Relay, bringing fantastic speakers to venues near you. Our pop-up conferences are free to attend, and take place within office hours. We make it easy to get top-notch training from some of the world's most knowledgeable folks. We cover a broad range of topics and at different levels, from SQL Server DBA to Advanced Analytics in Azure, taking in all aspects of the Microsoft Data Platform along the way; so there's a lot to be learnt. We're running 5 events in the same week, Monday to Friday, covering 5 different cities within the UK. As a speaker, you can present at 1, many or all of the dates. If you do many you can join us on the touring speaker bus! All conference sessions are blind selected by our committee. This excludes key notes and sponsor content. Sessions should cover anything within the Microsoft Data Platform, on prem or in Azure. We need a combination of old tech and new tech, and at anything from introduction to advanced (level 200 to 400). Speakers can present at a single event or multiple, it's up to you. If you're speaking at multiple events, join us on the SQL Relay Speaker Bus as we tour the UK! All participants including speakers will be required to sign up to and be accountable to the event code of conduct.